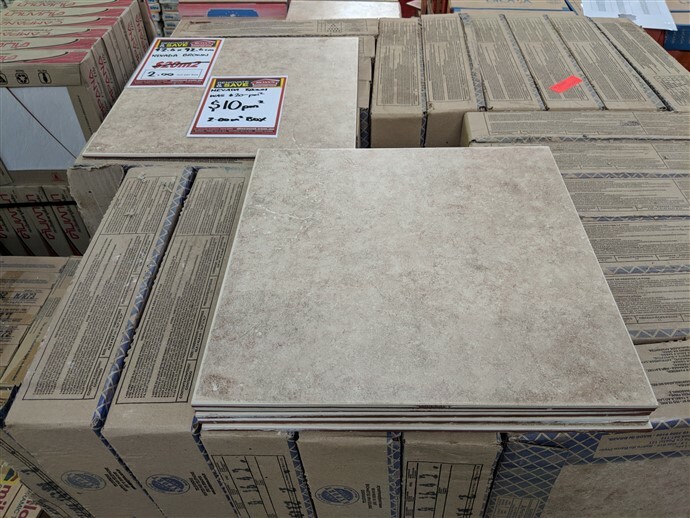 Can’t find a tile in the vast range of new tiles featured on our website? 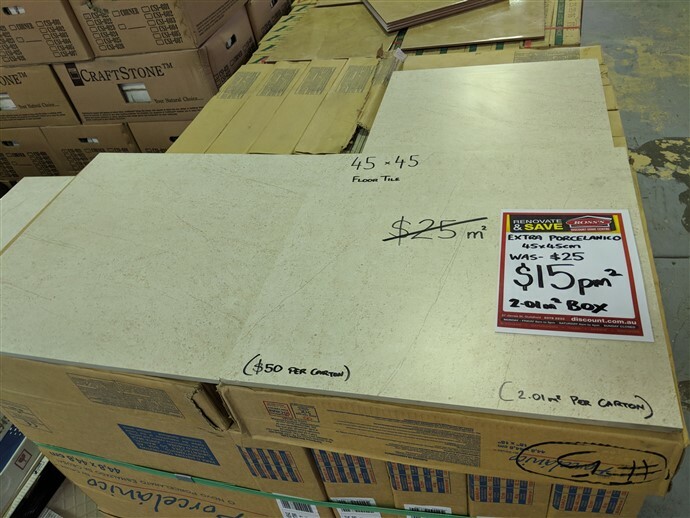 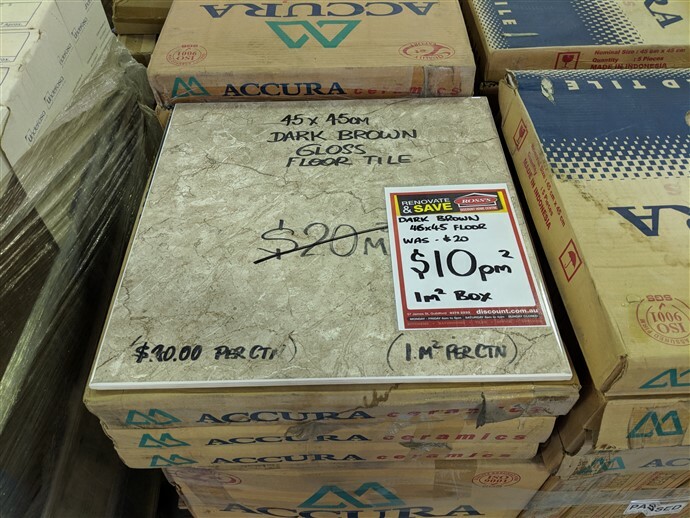 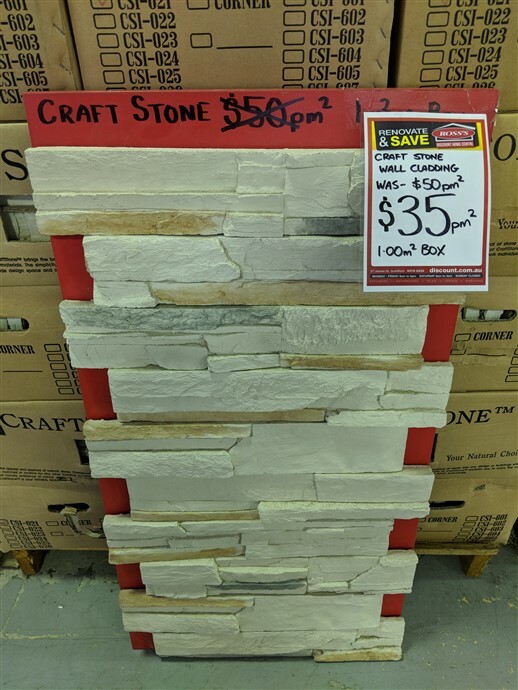 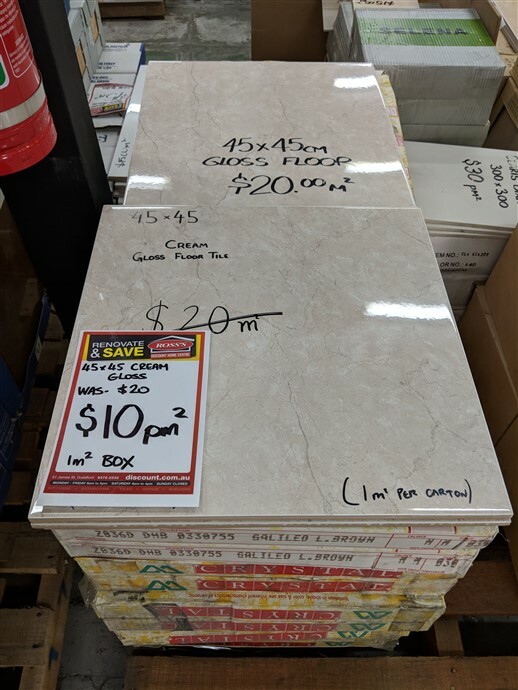 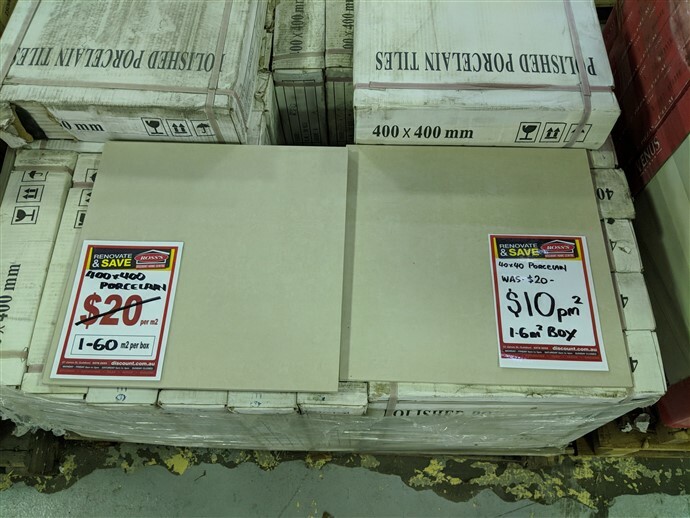 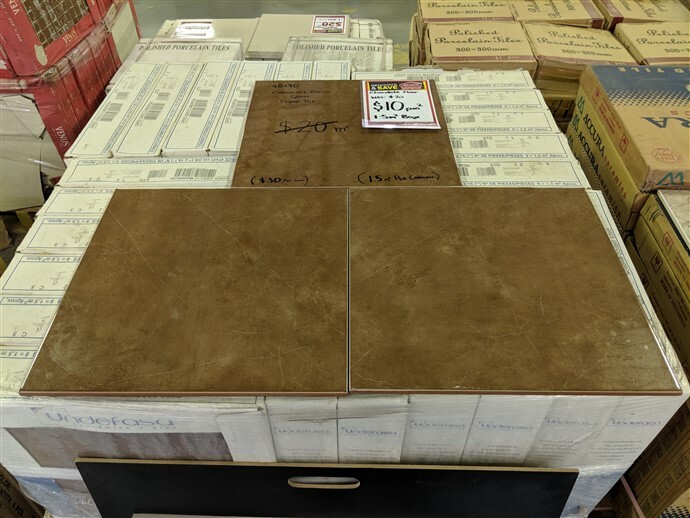 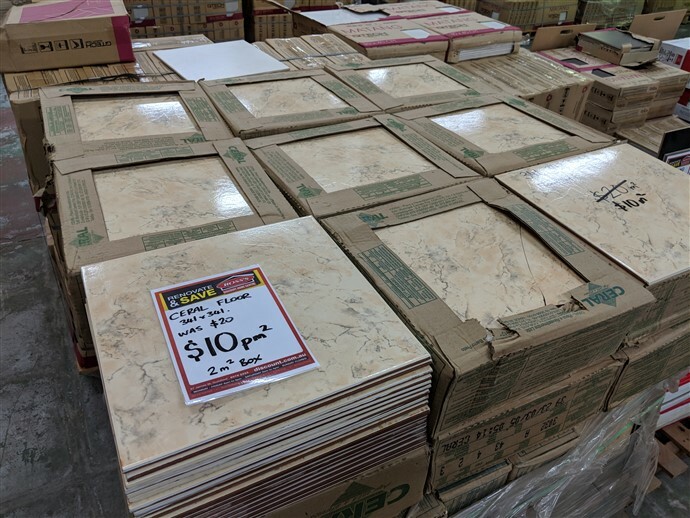 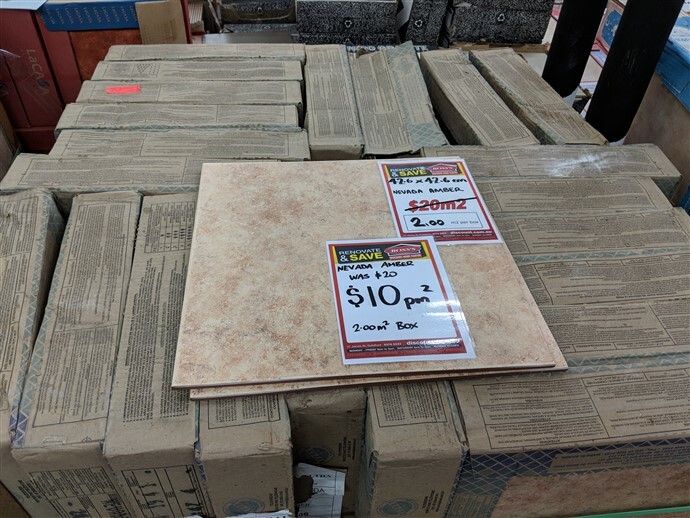 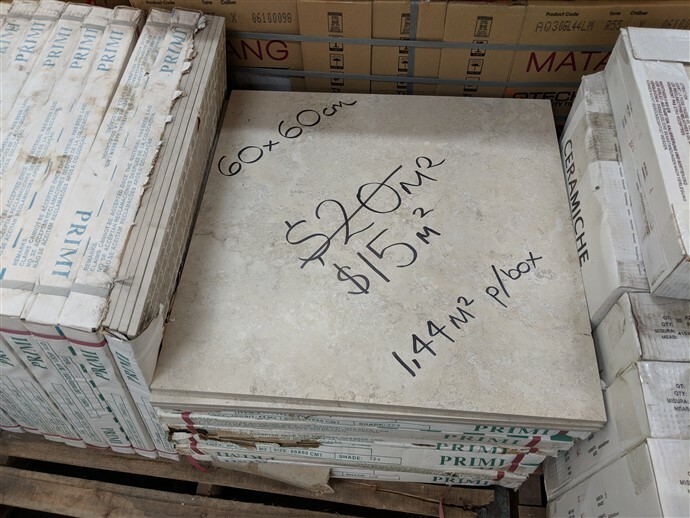 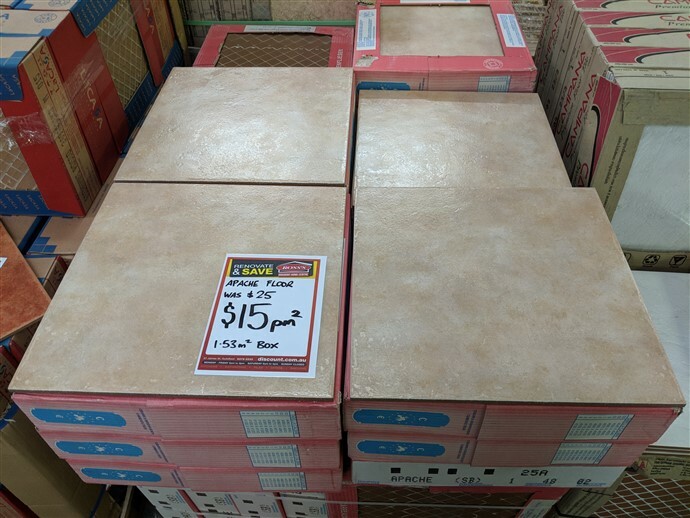 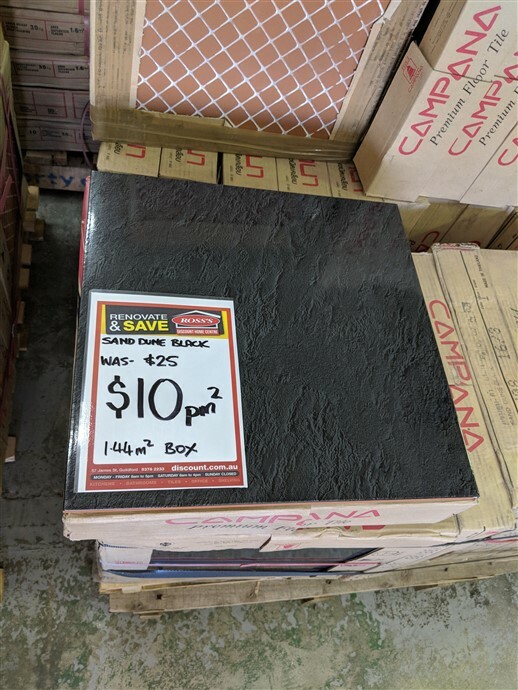 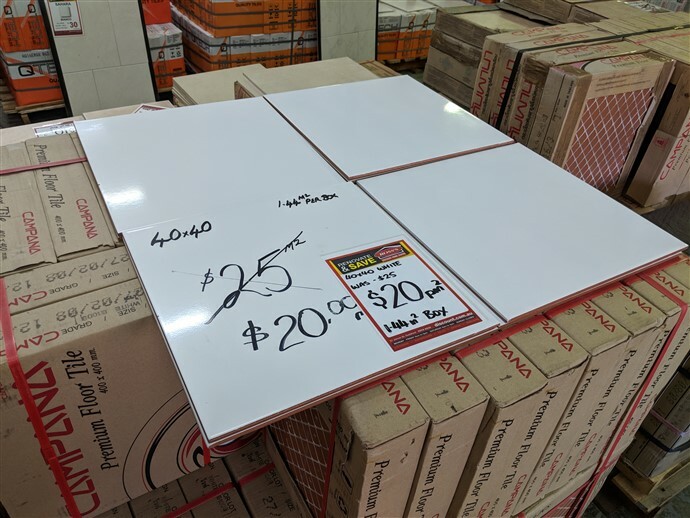 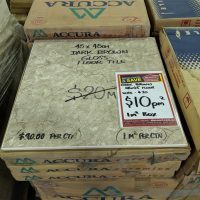 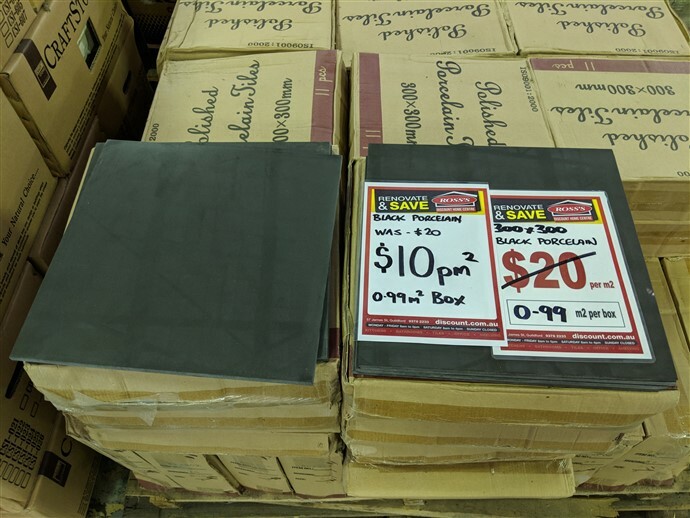 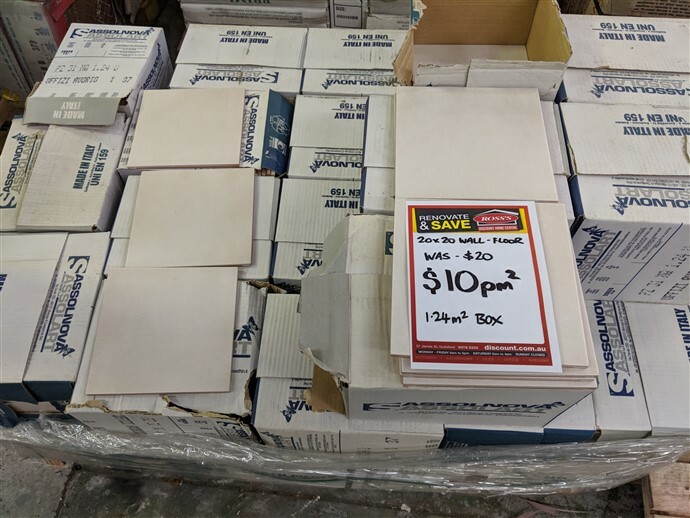 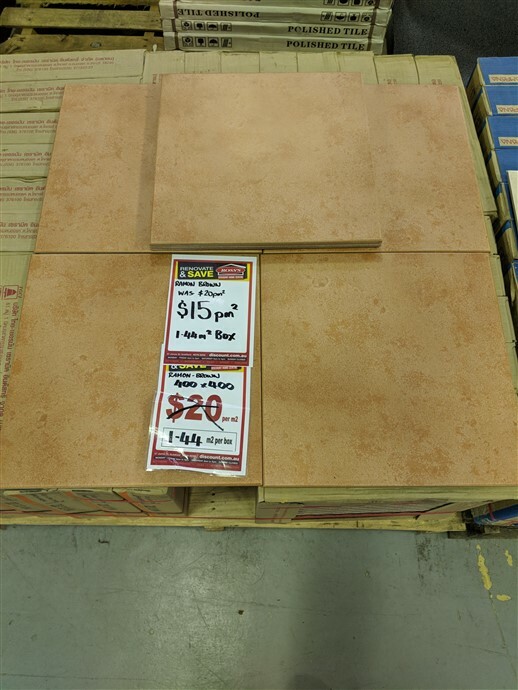 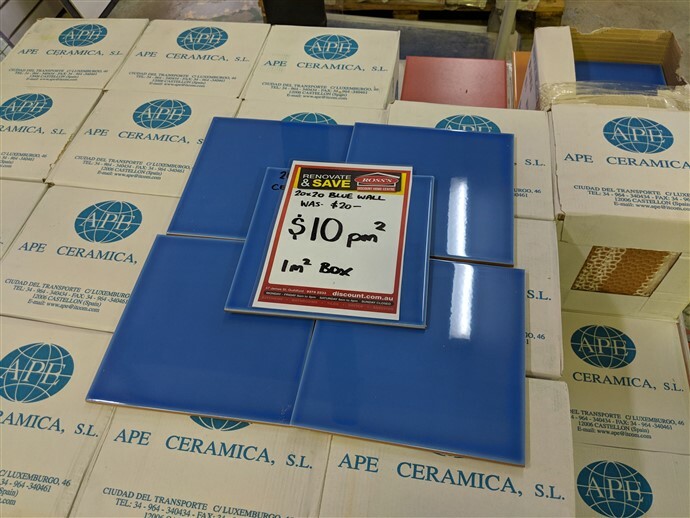 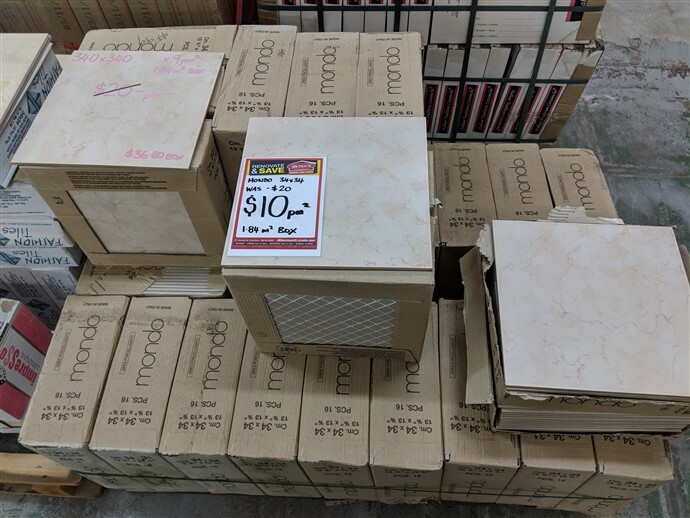 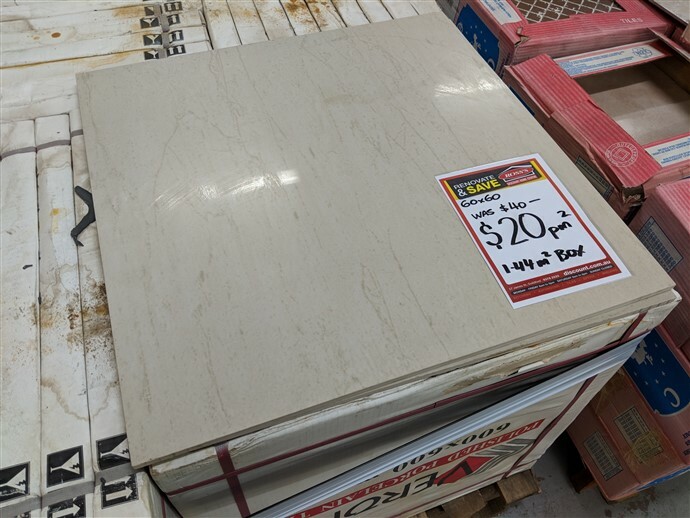 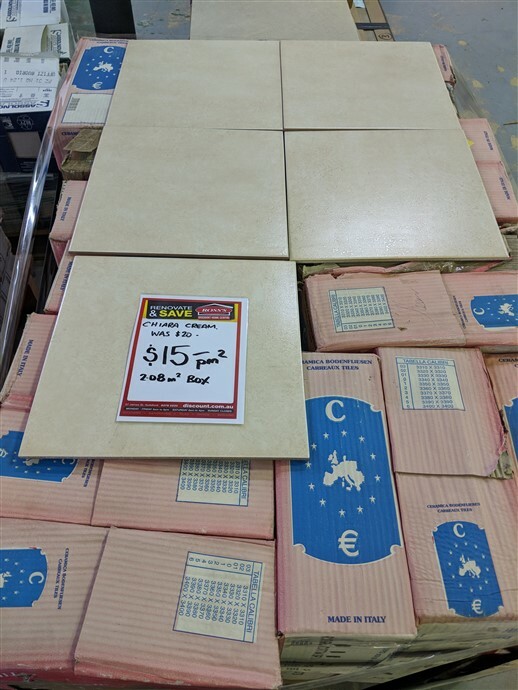 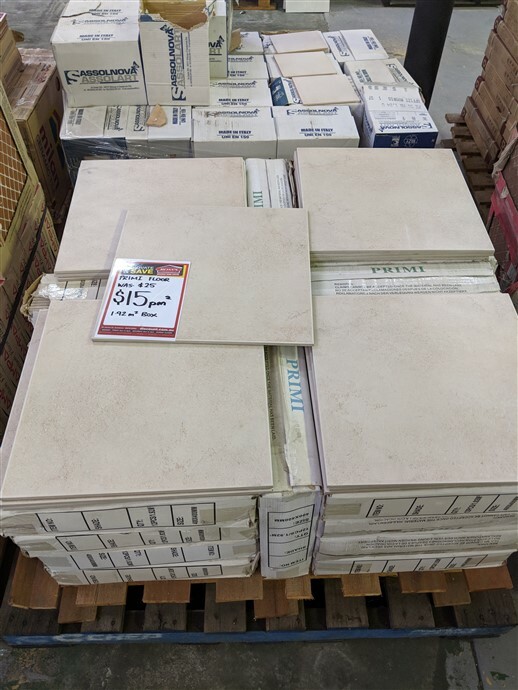 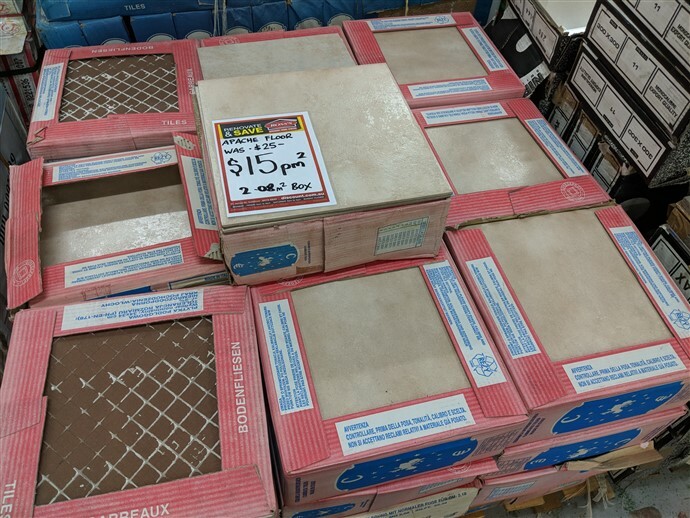 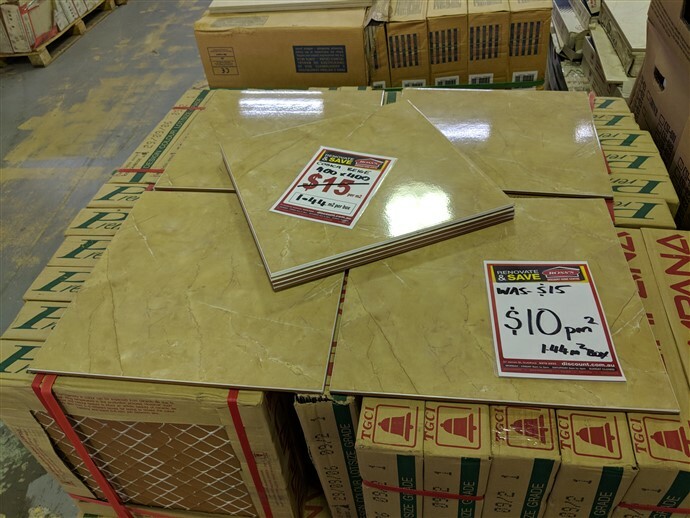 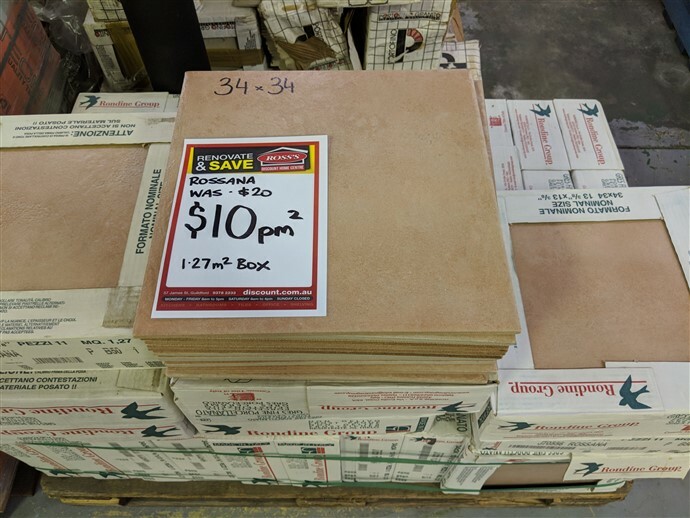 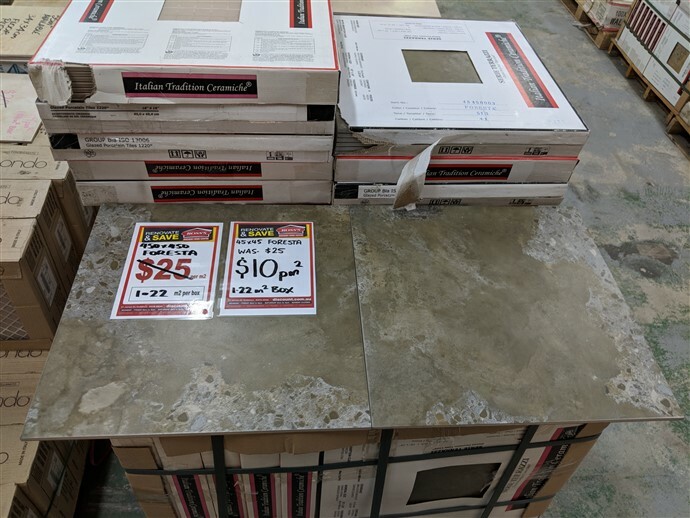 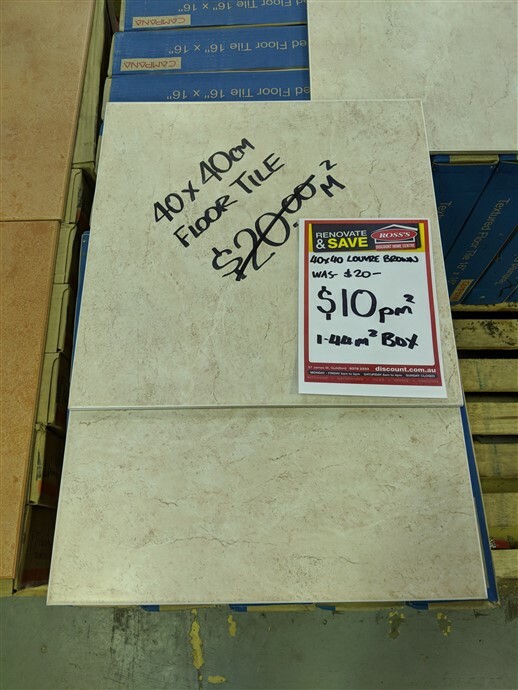 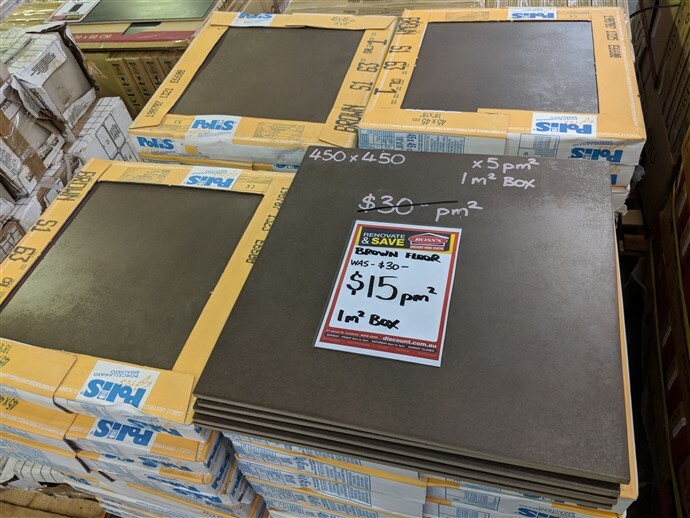 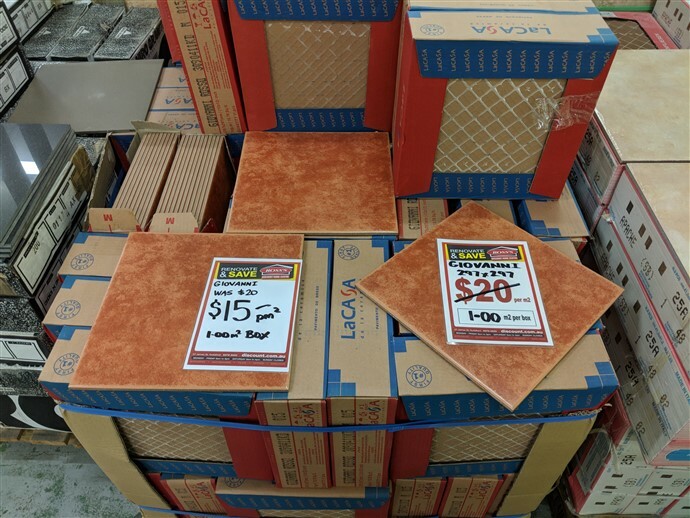 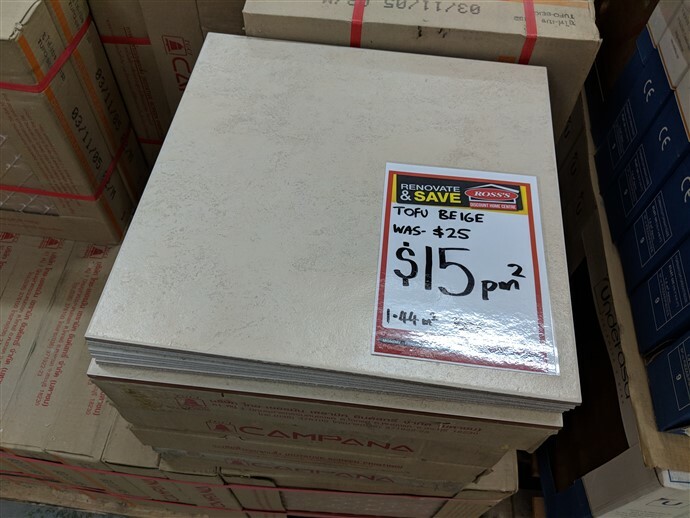 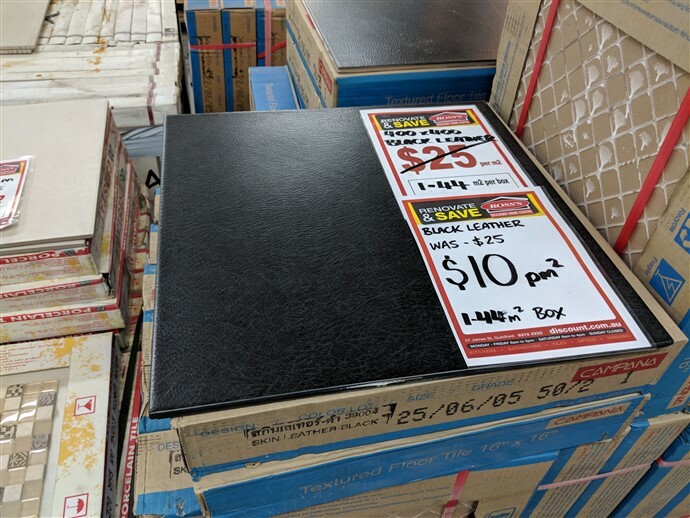 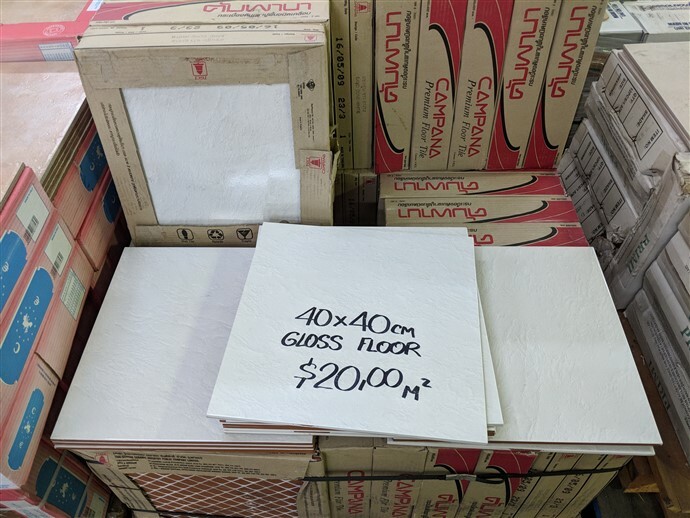 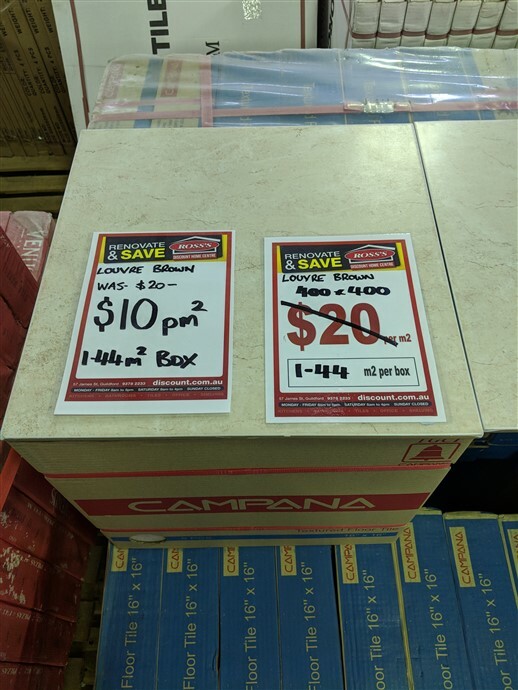 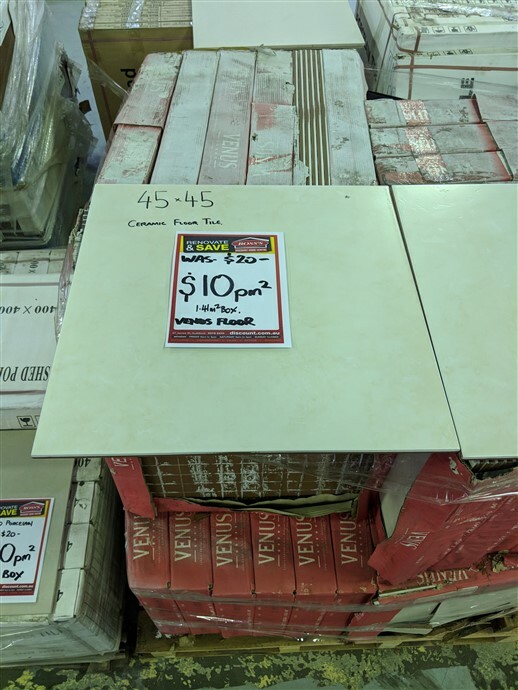 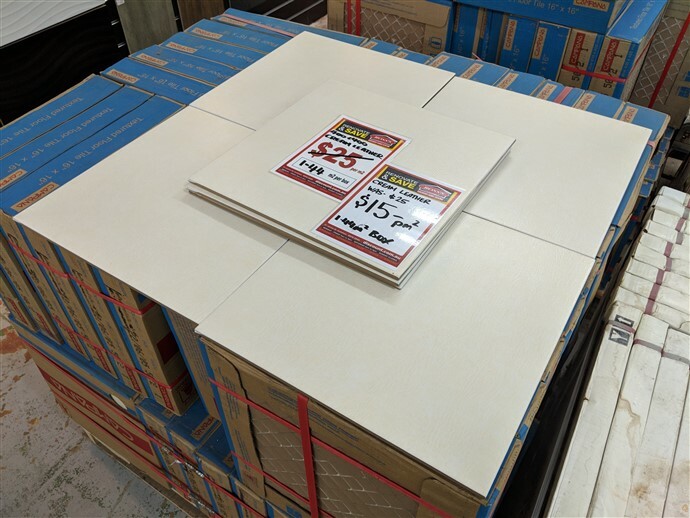 Perhaps a visit to the store will help you find that perfect tile in amongst our clearance tiles. 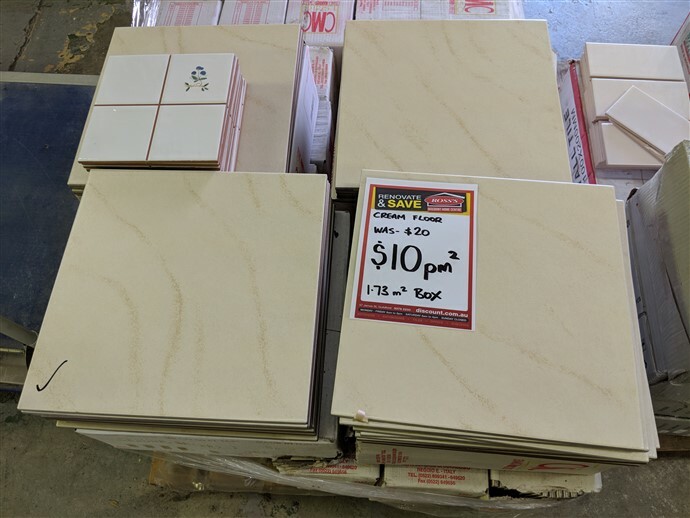 In our showroom at Guildford, we always have 1000’s of square metres of tiles that are in stock and ready for immediate pickup or delivery. 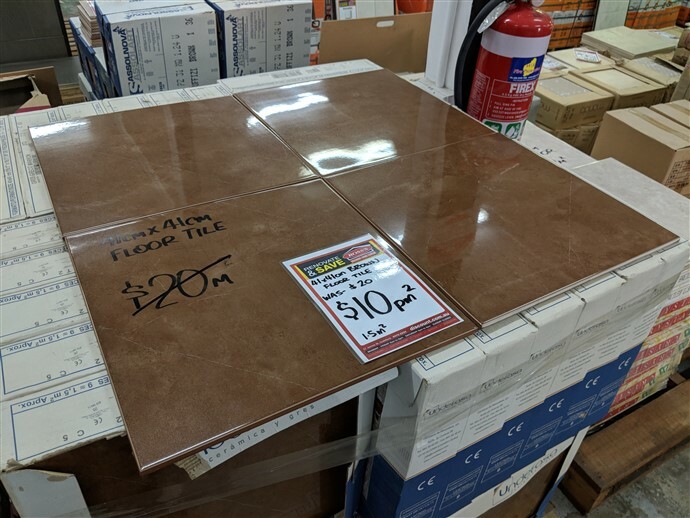 The availability is always changing and the range is too great to sell these tiles online so they are instore purchase only.